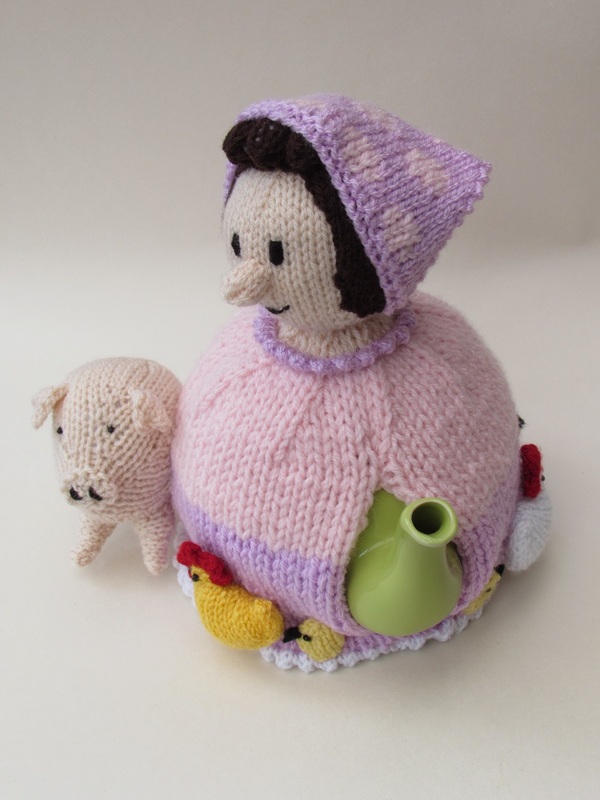 The farmer's wife tea cosy is getting ready for the evening barn dance, under her head scarf she has her hair ready curled. 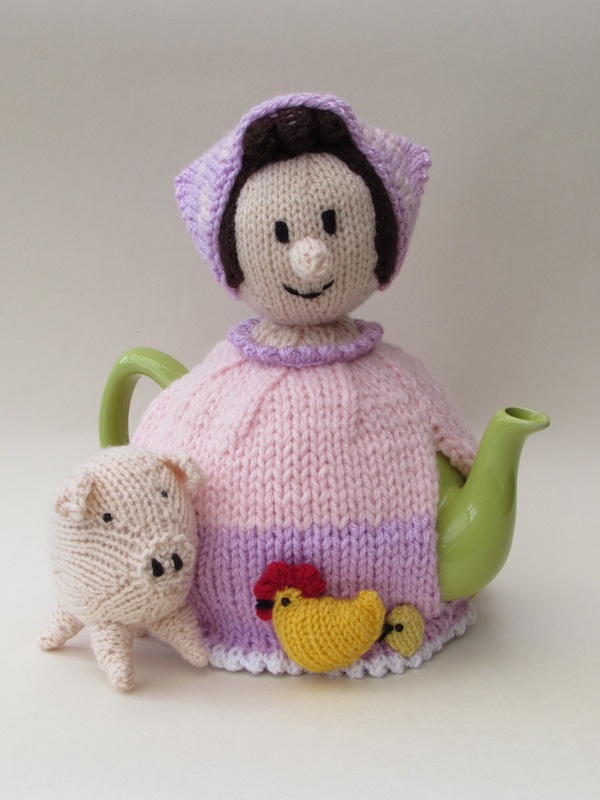 But she still have to feed the farm yard animals, the pig and chickens. 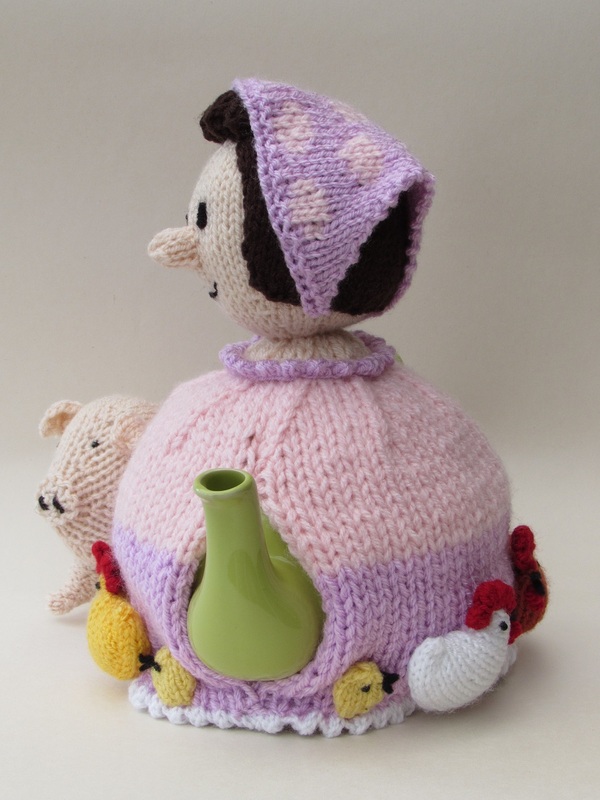 The Farmer's wife has one pig, three chickens and 4 chicks. 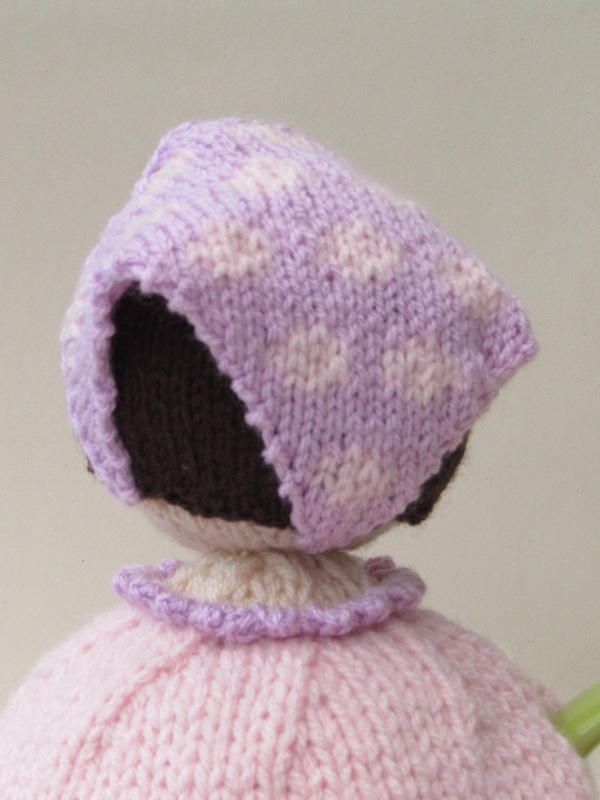 She's dressed in pink and lilac and has a spotty head scarf on. 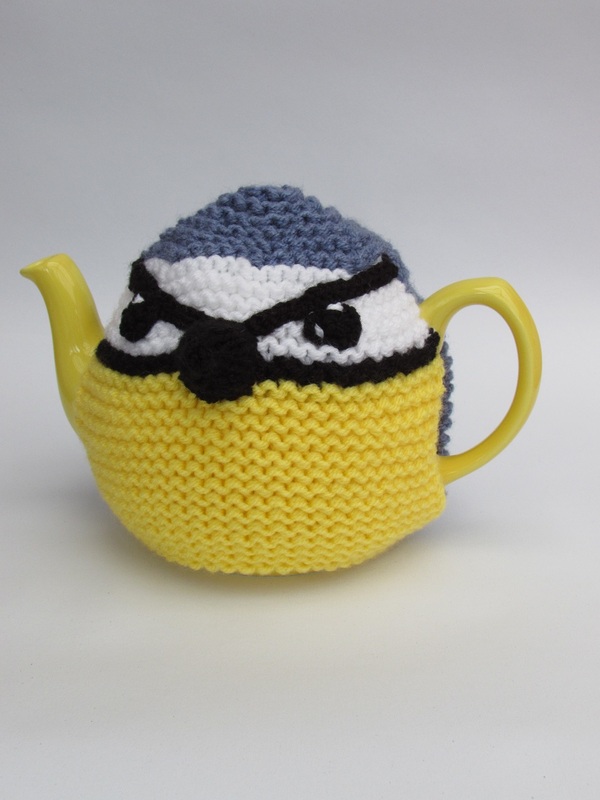 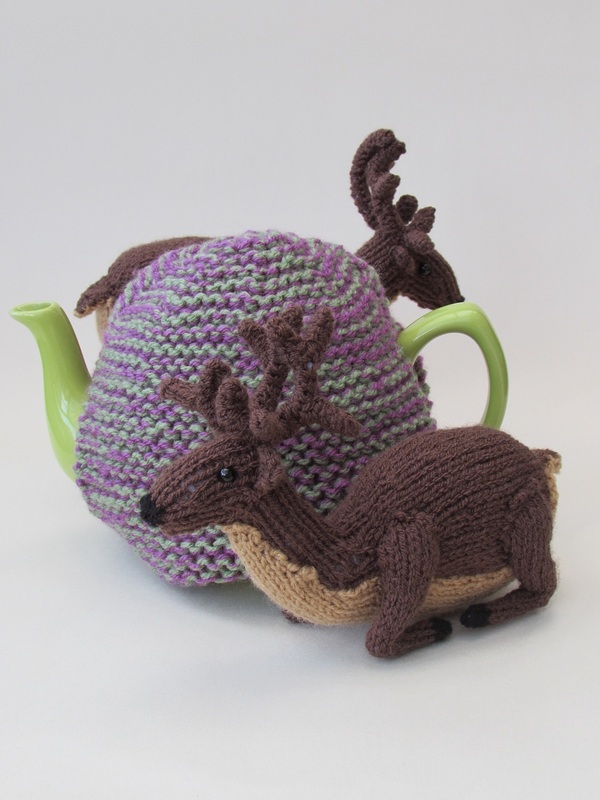 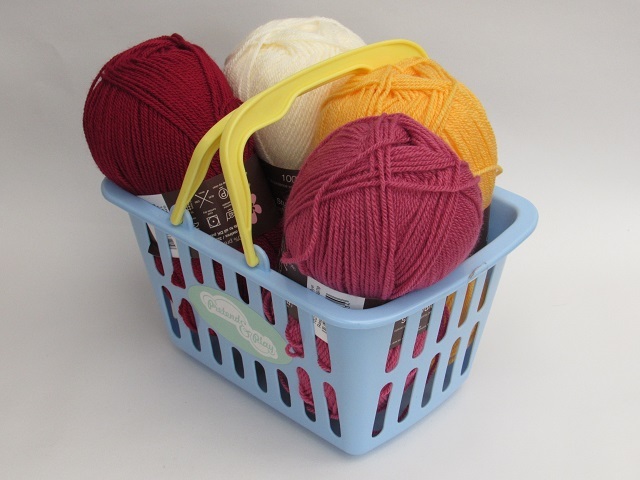 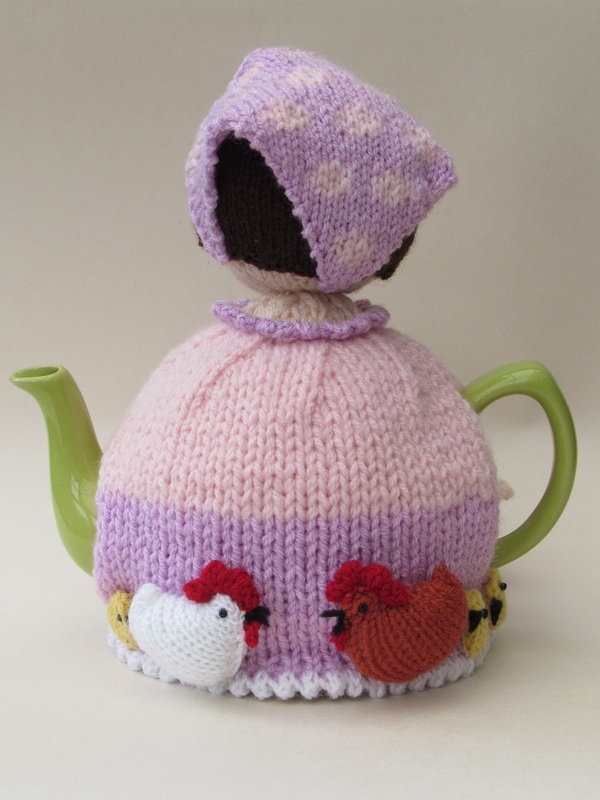 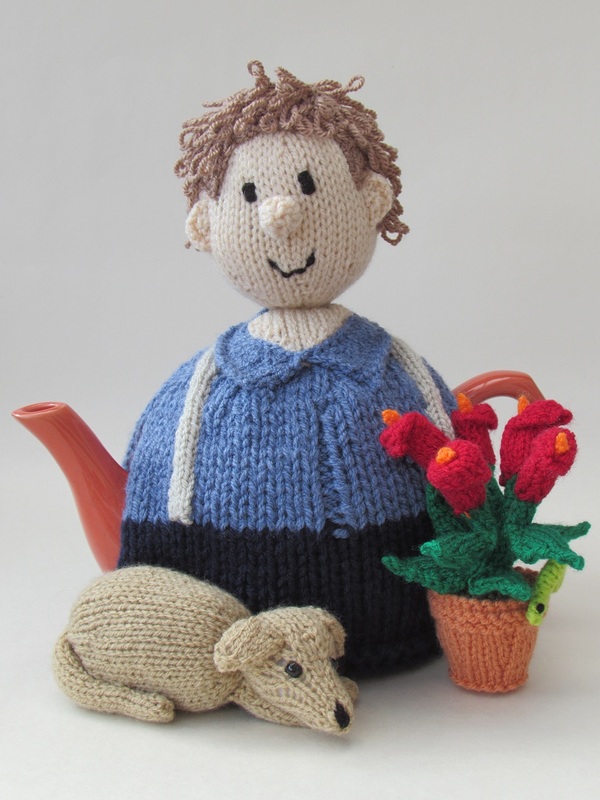 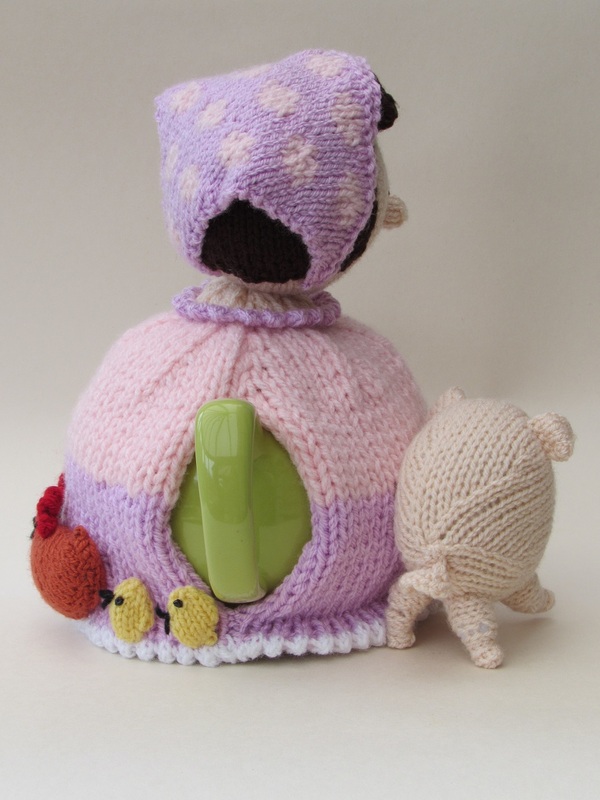 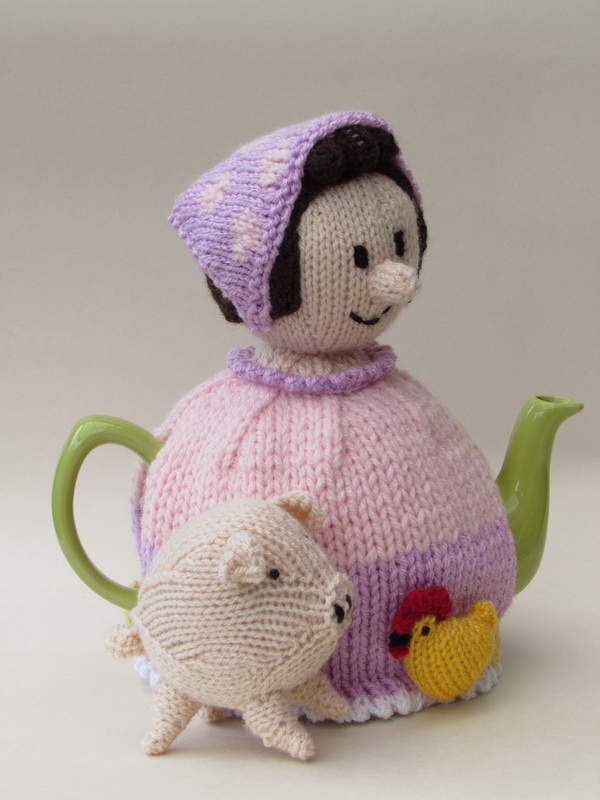 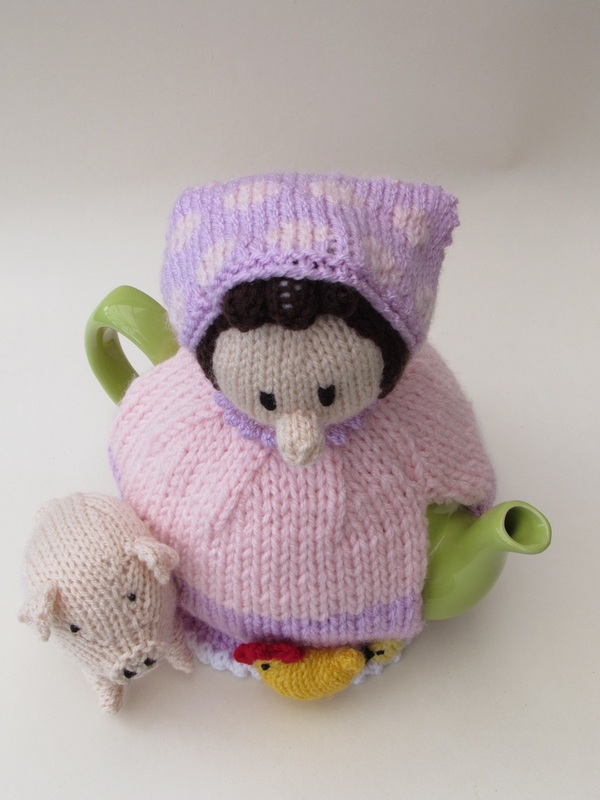 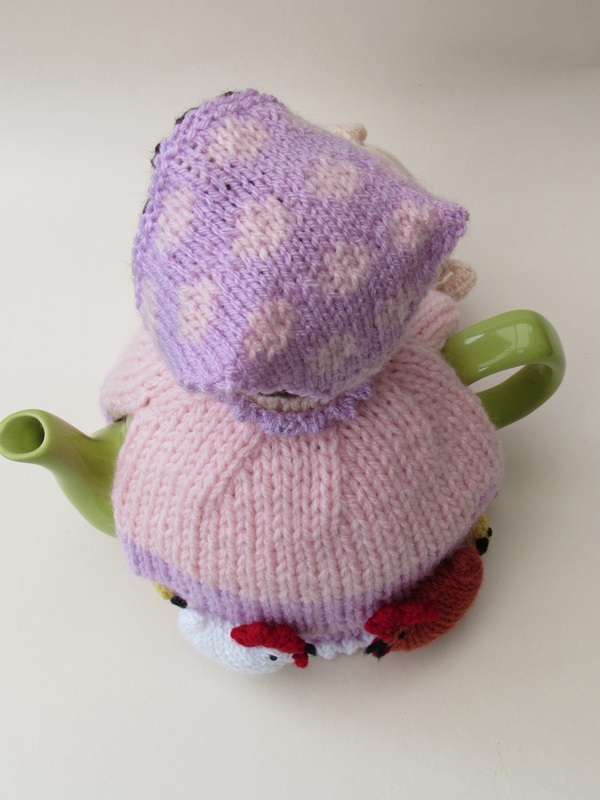 The knitting pattern is easy for follow and the tea cosy pattern is straight forward to knit. 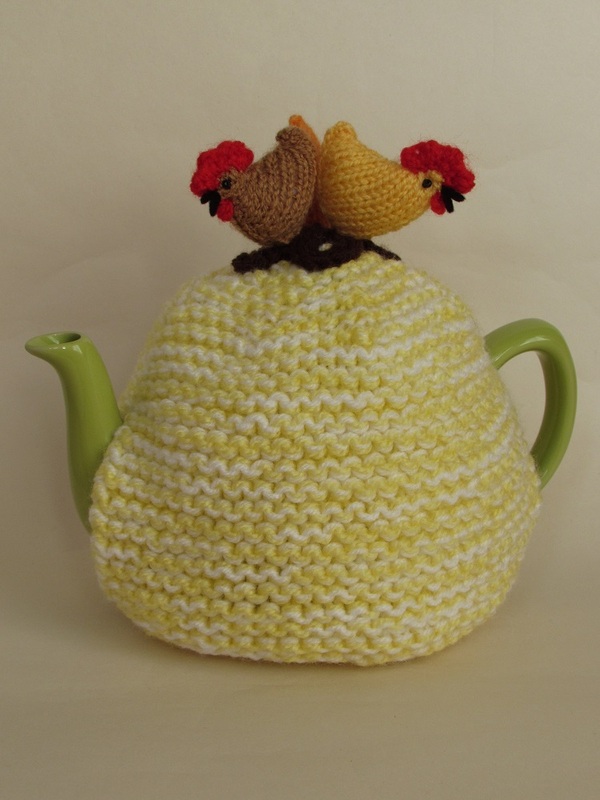 If you were knitting your own you could change the ratios of animals and birds.